How do I apply to the California Language School? Contact us here to schedule a time for a consultation. You can also give us a phone call at (213) 387-0007. We are open Monday to Thursday from 8 am to 10 pm, and Friday from 8 am to 5 pm. You can find an easy school application or a transfer verification form to fill out here. After your application, you will be asked to take a quick placement exam to assess your level so we can properly place you in the optimal course for your growth in the English language. Do you issue I-20s to international students? We issue I-20s to international students who are seeking an F-1 visa. How long can I stay in your school with my new F-1 visa? We offer our 4-to-12 week programs, which you can continue to enroll in and advance (from Beginning to Advanced/TOEFL). However, according to ACCET regulation, international students can study ESL/TOEFL for up to 3 years in duration in any language school. How do I transfer to California Language School? Contact us at 213-387-0007, by email at admission@californialanguageschool.edu, or at the form here. Let us know you would like to obtain a Transfer Verification Form and the list of the documents needed for you to transfer to California Language School. Our typical class size is fifteen students. We don’t let the classes get too big, so that the teacher can focus on each student’s needs more. Is there anyone who can help me with my academic goals? Yes, everyone! More specifically, we have an Academic Advisor who aids and advises students with their academic goals, as well as a Manager and Director for the school who can assist as well. Do you provide parking for students? Yes. We have our own campus lot dedicated for student parking. How many and how long are the English programs? We have 12 ESL programs that are three months long - they fall within the Beginning, Intermediate, and Advanced levels. We also offer 4 TOEFL prep courses that are also three months long. Lastly, we provide a 4-week intensive ESL course. How will I be placed in classes? Upon enrollment, you will take a test assessing your level of listening, reading, and writing English. Can I pay monthly tuition fee if I were to enroll for 3 months? Yes, if you enroll at our school for 3 months, you can pay a monthly tuition fee of $400, which most students choose to do. This is cheaper than if you just enroll month to month - then the monthly tuition is $500...which is still very inexpensive! Our school is accredited by ACCET and has been for many years. Regarding attendance, a student needs to come to school at least 80% of the time, or 4 days/16 hours per week out of a 5-day week. How do I travel from the airport? If you are arriving from the LAX airport and are in need of a ride to your US residence, there are many options available. You can download the Uber or Lyft apps and call a ride, which is a cheaper and more convenient option, or you can call a taxi which will be more expensive but whose drivers have more experience. How can I drive in the U.S. as a foreign language student? If you would like to obtain a California Real ID or Driver License during your stay here, please go through the information below, and visit the government website to learn more! Proof of identity, such as an original or certified copy of a U.S. birth certificate, U.S. passport, employment authorization, permanent resident card or unexpired foreign passport with valid U.S. visa and approved I-94 form. No photocopies will be accepted. Proof of Social Security number, such as an SSN card, W-2 or paystub with full SSN. Original or certified copies are required. No photocopies will be accepted. California residency document, such as a utility bill, rental agreement, mortgage or medical document. Photocopies accepted. Wait 10 days after you enter the United States. You may want to apply for a driver's license right away, but be patient. The 10 day wait allows time for all the government databases to update with your arrival information. If you apply too early, your application will be delayed or denied. If you are a continuing student or scholar, please remember to wait 10 days from your most recent entry to the U.S.
Make sure your record in SEVIS is up-to-date and in Active status. SEVIS is the database that contains information for all F and J nonimmigrants in the United States. Berkeley International Office manages the F and J SEVIS records for students and scholars with an I-20 or DS-2019 issued by UC Berkeley. Berkeley International Office must place your SEVIS record in Active status when you first report to the campus. For students, this is done by completing the Online Arrival Confirmation at the beginning of your semester and being officially registered with the University. For J-1 scholars, this is done at a Scholar Information Meeting (SIM). If your record is not Active when you apply for a Driver's License, the application may be delayed or denied. Note: This step is only required when you first arrive the the U.S. on your new I-20 or DS-2019. Wait 10 days from the time you complete the Online Arrival Confirmation or SIM before going to the DMV. Check your immigration documents. Check all your immigration documents to make sure your information is correct. This is data integrity. Data integrity is very important because if you have different information on different forms, it will cause delays. Specifically, check your electronic I-94 “Arrival/Departure" record for information. If the information on your electronic I-94 admission record is different than on your passport, visa or Form I-20 or DS-2019, please contact Berkeley International Office. Read. Practice. Review. The DMV has the latest California Driver Handbook, forms and instructions on how to apply for a Driver’s License. You will also find five sample exams(link is external). The practice exams will help you with the first step of receiving your driver’s license. Please note after you pass the written exam, you may need to take a Driving Test (link is external). The electronic I-94 record you received with the passport admission stamp. Please access your electronic I-94 record and print it. Passport (with visa, if applicable). Please ensure your passport is on the Approved Foreign Passport(link is external) list with the DMV. Two documents showing your proof of residency (link is external) in California. Find Student Housing with our Partner, 4Stay.com month to month, or long term. Whether it's short term or long term, you can find your housing options that are right for you on our Housing information page here. What is the difference between a Form I-20, a visa and student's status? A student's Form I-20 is a document issued to accepted students by Student and Exchange Visitor Program (SEVP)-certified schools that indicates a student's primary purpose for coming to the United States. A student visa is a travel document you receive from a U.S. consulate or embassy before entering the United States. A student's status is what a person must maintain after they are granted entrance into the United States. What is SEVP certification and do schools need it? Student and Exchange Visitor Program (SEVP) certification authorizes schools to issue Forms I-20, "Certificate of Eligibility for Nonimmigrant Student Status, " to prospective international students after admitting them for a course of study. If certified, the school will gain access to the Student and Exchange Visitor Information System and may begin issuing Forms I-20. To maintain certification, the school must comply with SEVP policies as well as record keeping and reporting requirements stipulated in 8 CFR 214.3. Schools only need SEVP certification if they wish to enroll F and M students, and SEVP is the only government entity that can certify a school to issue Forms I-20. How does an international student know if a school is SEVP certified? Use the School Search in Tools section of Study in the States to find Student and Exchange Visitor Program (SEVP)-certified schools and programs eligible to enroll F-1 and M-1 students. Use the tool to search by school name, location, education or visa type. Accreditation is the recognition from an accrediting agency that an institution maintains a certain level of educational standards. The U.S. Department of Education maintains a database of accrediting agencies it recognizes. On Dec. 14, 2010, former President Barack Obama signed the Accreditation of English Language Training Programs Act (commonly referred to as the "Accreditation Act"), which amended Section 101(a)(15)(F)(i) of the Immigration and Nationality Act to state that F-1 nonimmigrant students intending to pursue an English language training course of study must enroll in an English language training program that has been accredited by a regional or national accrediting agency recognized by the Department of Education. This means that while accreditation is not a requirement for most schools seeking Student and Exchange Visitor Program (SEVP) certification, it is a requirement for all English language training programs and stand-alone English language training schools seeking certification. Note that schools seeking SEVP certification that are not accredited must submit specific evidence in lieu of accreditation (read more about this requirement on ICE.gov). Vocational schools are institutions of learning that provide training and education for a particular skillset or occupation (culinary schools, cosmetology schools, flight training schools, etc.). Academic schools are institutions of learning that provide scholarly courses like mathematics, sciences and the humanities (colleges, universities, seminaries, high schools, etc.). Both academic and vocational schools are eligible for Student and Exchange Visitor Program certification. For more information about the different options available, visit the Programs of Study page. How many classes make up a full course of study? The definition of a full course of study varies depending on both a student's status (F-1 or M-1) and their program of study. For instance, U.S. government regulations define a full course of study at a Student and Exchange Visitor Program (SEVP)-certified kindergarten to grade 12 school differently than at an SEVP-certified college or university. What does it mean to maintain status? Fulfilling the purpose for why the Department of State issued a visa. This means if a student gains entry into the United States on an F-1 or M-1 visa, they are coming to the United States to study and cannot take any action that detracts from that purpose. It is the responsibility of the designated school official to ensure that a student properly understands and complies with the rules that apply to their student status. For more information, visit the Maintaining Status page. When does withdrawing from a class become a violation of status? Students must enroll in a full course of study in order to maintain their status. Under certain circumstances, a student may be eligible for a reduced course load. However, a student must talk to their designated school official (DSO) and have their DSO authorize a reduced course load prior to dropping below a full course study. If a student drops below a full course of study without their DSO’s authorization, that student is in violation of their status. What is the I-901 SEVIS Fee and how much does it cost? Regulation requires all prospective F and M students pay the I-h2 before the U.S. Department of State issues them a visa. The congressionally mandated I-901 SEVIS Fee supports the maintenance and continued modifications of the Student and Exchange Visitor Information System (SEVIS) and other Student and Exchange Visitor Program priorities to fulfill its national security mission. What do international students do if their visa, passport or Form I-94 is lost or stolen? If one of these documents goes missing while in the United States, a student should first go to their local police station to report the documents lost or stolen. If a student has original copies of these documents, they should bring them to the police station. The student then needs to contact their home country's local embassy or consulate in the United States to report missing travel documents and find information on what to do next. If a visa or passport goes missing while abroad, report it to the consulate or embassy that issued it for next steps. If a student needs to replace their Form I-94, “Arrival/Departure Record, ” they must file a Form I-102, “Application for Replacement/Initial Nonimmigrant Arrival-Departure Document, ” with U.S. Citizenship and Immigration Services. If a student needs to replace their Form I-20, “Certificate of Eligibility for Nonimmigrant Student Status, ” they must talk with their designated school official. Note that a visa is a travel document and students may remain in the United States if their original visa expires as long as they maintain status. However, if the student departs the United States, they will need a valid visa to re-enter the country. There are a variety of national banks students can select for their banking needs. Listed below are the banks with local Los Angeles branch locations with their website and phone numbers. See the unique difference for foreign language students at California Language School. Call us today at 213-387-0007 or send us a message here. * Accredited by ACCET – A Partnership for Quality®. 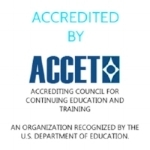 ACCET is listed by the U.S. Department of Education as a nationally recognized accrediting agency. * BPPE LOGO DISCLAIMER: This institution is a private institution approved to operate by the California Bureau for Private Postsecondary Education. Approval to operate means the institution is compliant with the minimum standards contained in the California Private Postsecondary Education Act of 2009 (as amended) and Division 7.5 of Title 5 of the California Code of Regulations.